Mark is a real estate investor practicing in Chestermere, Alberta and surrounding area with Local Home Buyers, a proud member of Street Smart Real Estate Investors. He specializes in designing real estate solutions to homeowners who are caught in a difficult situation. He listens carefully to his client’s challenges, and ensures their needs are met. Mark is not afraid of probing questions that will uncover facts and eventually to the ultimate solution to the problem. 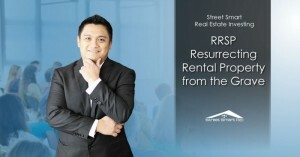 Ugly rental properties married to RRSP what do you get?